In recent years, esports has experienced a real boost in popularity. This, in turn, has alerted brands to the marketing potential of the sport. A lot in esports happens online — via tournament live streams and dedicated websites and platforms. Inevitably, social media is also an important platform for esports fans. Walls.io has been sponsoring the Drag2Death esports community with social walls for a while now. So we thought it was time to take a closer look at both the esports industry in general and at how esports and social walls go together. Esports is not a new industry but it has been growing exponentially in recent years. The industry may have gotten its start mainly in South Korea and China, but has been sweeping Western markets as well, first and foremost the U.S.
Big-scale tournaments broadcast to the masses via live streams prove that it esports should no longer be seen as a niche interest. In fact, for certain target groups following esports online is now a more prevalent pastime than following more traditional sports. And unlike with more traditional sports events, the most popular way of following esports is live streaming. With its clear focus on online, esports as an industry has developed globally without being restricted by geographical borders. The globality of the market is what draws many brands to esports as a marketing vehicle. 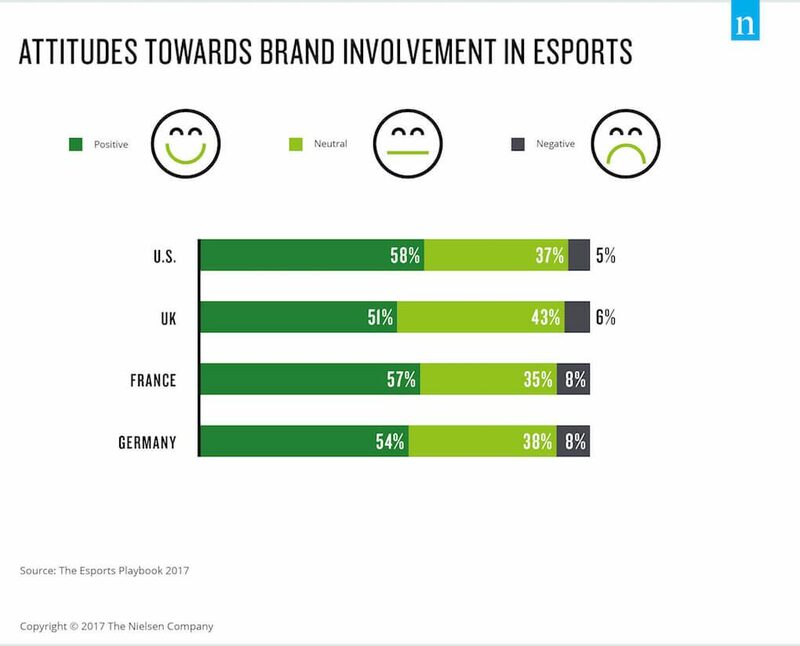 Esports is clearly a growing market for brands — media research company Nielsen even created their own esports division in 2017. Nielsen’s Esports24 is dedicated solely to researching the esports industry and providing insights to potential sponsors. According to research from Nielsen, 7 in 10 esports fans are male, with an average age of 26. And that represents pretty much exactly the valuable market segment of male millennials that many brands are hoping to sell to. Contrary to rumours about esports fans not wanting any advertising, esports is a surprisingly great place for brands to get involved — as long as they’re the right brands. Endemic brands with some relation to esports and gaming tend to be accepted best by fans. So brands like energy drinks, fast food, gaming hardware and software, etc. would do well to look into marketing to esports fans. Brands often enter the esports landscape as sponsors of teams, tournaments or even broadcast platforms. Putting a logo on screen overlays, in-venue signage and equipment is a popular way to be visible in esports. But many brands are beginning to use social activation with good results. 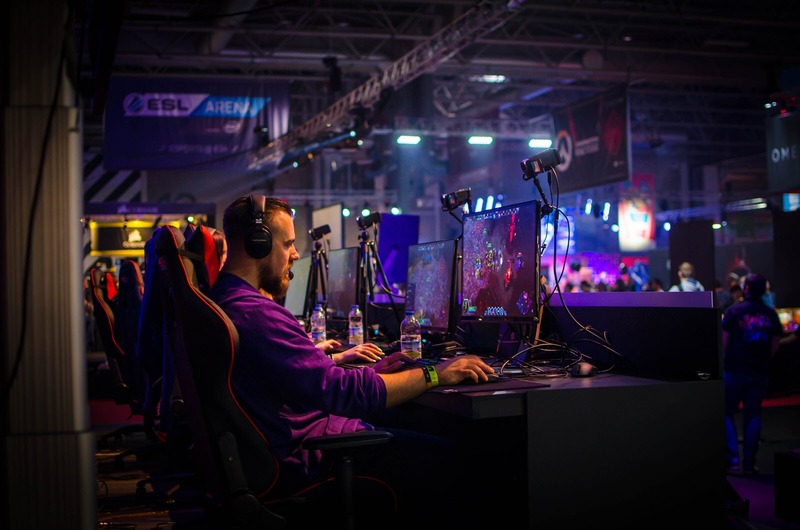 By truly connecting and interacting with esports fans online, brands trigger not just ad-hoc buying power but are creating long-term followers that can (hopefully) be turned into brand evangelists. Gaming, in general, is already strongly tied to communication technologies and apps. There’s in-game communication through chat, VoIP, and apps like Team Speak, Discord, etc. People watch other people play games on platforms like Twitch or YouTube Gaming and follow their favourite gamers or teams on YouTube, Twitter and other social media channels. Social media provides both a synchronous and an asynchronous way of staying up-to-date on esports and in touch with other fans and teams. The beautiful thing is that social media doesn’t care about time zones, e.g. games in other time zones, and becomes a hub for esports activity and conversation. It’s also not uncommon for fans to follow live streams and tournaments and simultaneously interact with other fans and gamers on social media. Do you want to increase engagement during your event? Integrate a social media feed on your website and display it on a big screen. Drag2Death is one of India’s biggest esports platforms and agencies, dedicated to growing esports in India and supporting regional communities and teams. Drag2Death organises and broadcast esports events and tournaments, so they are keenly aware of how esports and online go hand in hand. 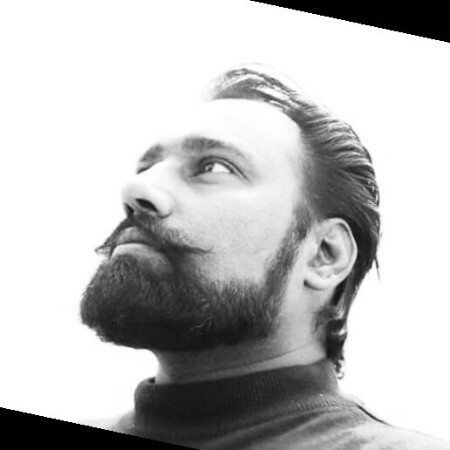 We spoke with Amol Bharti, one of the co-founders of Drag2Death about the topic. What role does social media play for the eSports community in general and for Drag2Death specifically? Social media is the most essential part of esports as the matches between top teams are broadcast live on platforms like YouTube Gaming, Twitch or Facebook. Therefore, making people aware of the broadcast schedule via social media is the key to the success of an event. Furthermore, the domain esports is a prime focus of young people and today’s youth is highly available on social media. So to reach out to the potential participants and viewers of an event one has to depend upon social media and digital marketing. How are you using hashtags in your digital marketing? Drag2Death always designs a microsite for its event sponsors that also includes a social media wall for the campaign hashtag. Aggregation of hashtag-based posts for varied topics is a daunting task — one couldn’t possibly collect all the campaign-related data manually. This is where Walls.io fits perfectly into our overall event framework. Walls.io allows us to easily integrate the social media campaign aggregation and analytics with our website and event microsites. We can easily see who is talking about an event and using the hashtag. And we can use the moderation features to approve which user-generated content will be made visible on the microsite. The social wall also allows us to easily prepare a report about social media trends and the campaign for our sponsors without drilling down into who said what with a manual approach. We’re happy to see Drag2Death is using Walls.io in such an extended capacity to serve both the esports community and the esports sponsors. This just goes to show how social walls can have multiple functionalities and can be used in many different ways. Make your next event go viral on social media! All you need is a cool hashtag and a social media wall.